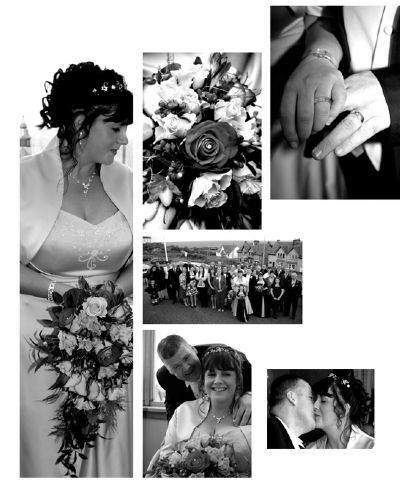 We have been photographing and filming Weddings and Special occasions since the mid 1970’s. We have a range of packages from traditional albums to digital formats. Unlike most Wedding Photographers we do not give you a Wedding album filled with X number of pictures we give you a disc as a slide show filled with the photographs we take on the day/night and put the rest on our partner web site ( all password protected so only you and People you give the password to can see them ) for you to view/buy. that way you do not have to decide which 20 or so photos you would like, you have them all to choose from, so you can make up your very own album. We usually take up to 2000 photos at Weddings/Events if we also do the evening entertainment, so you have so many photos to choose from! With prices to suite all budgets we can supply photographs either in digital forms or in a wide selection of traditional and cutting edge albums with styles to suite every taste. 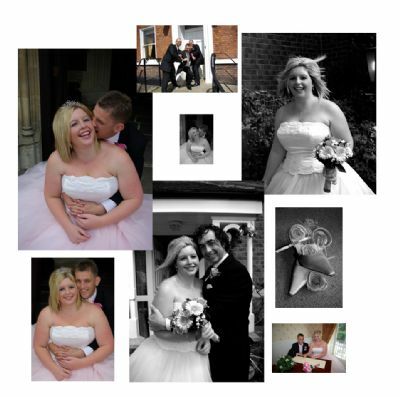 We work closely with the "Happy Couple" to provide images of the day, tailored to their requirements and wishes . As every wedding is special and unique please call to discuss your requirements. All the guests have returned home, the Wedding cake has all be eaten, the flowers have died, and the dress has aged to yellow. What remains are the memories, many of which have been captured on photographs or DVD. They are one of the things that do not die or fade, so it is always best to get the best Photography/DVD package you can afford. Also wouldn’t it be wonderful to see the People you love at your Wedding enjoying themselves dancing and having fun? That is why we always recommend to our Brides and Grooms to opt for the DVD as well as the still photography, that way you not only get to look back at a photograph, but you also get to watch the People you love moving and talking. Why book Nightowl for your Wedding Photography/Entertainment? All our Wedding Photography packages include a disc of all photographs taken on the day/evening, for you to view at home as a slide show. Also all photographs will be uploaded to our partner web site for the Bride and Groom and their Guests to view at their leisure, and if they wish place orders for prints, albums, canvases etc. All galleries are password protected, so only the Bride and Groom plus any of their Family & Friends they give the password to, can actually view the photographs. On average we take around 250 photographs on our Linin package, and between 1,700 and 2,500 photographs with the Diamond package, most other photographers take on average 36- 100 photographs on the day. We take both the formal traditional Wedding photos, plus the ‘candid’ shots, so nothing is missed; most other photographers only take the ‘staged’ photographs. Gordon has been in the Wedding industry for over 30 years, and has never let anyone down. We are always at the end of the telephone if you have any questions on the run up to your Wedding, or you can email us. Nightowl can also provide your Wedding discothèque, we have a very wide and varied music selection, and, if you have a playlist in mind for your reception entertainment we can also accommodate you there. Our music ranges from the 1920’s right up to the present day. We can play any genre of music, Scottish, Pop, Irish, Rock, Soul, Chart, Reggae….. The list goes on. Unlike most live bands, we can play anything, not just the things we have on our playlist. We aim to play any requests within 10 minutes of being asked. Our aim is to allow you and your Guests to have the best day/night possible. All our equipment is fully PAT tested; we have £10,000,000 Public liability insurance, and are members of The Wedding DJ Alliance, and The Alliance of Party DJ’s. We have a strict no alcohol policy- for the photographers/DJ not your Guests! Professional conduct and appearance at all times-and always with a smile! Once your Wedding is booked and confirmed, we appreciate a Wedding is an expensive time, that’s why we offer a payment scheme, where you can pay as much or as little as you wish from the balance whenever you wish. All we ask is that the full amount is paid in full one week before your Wedding Day. All correspondence replied to promptly- within 24 hours.